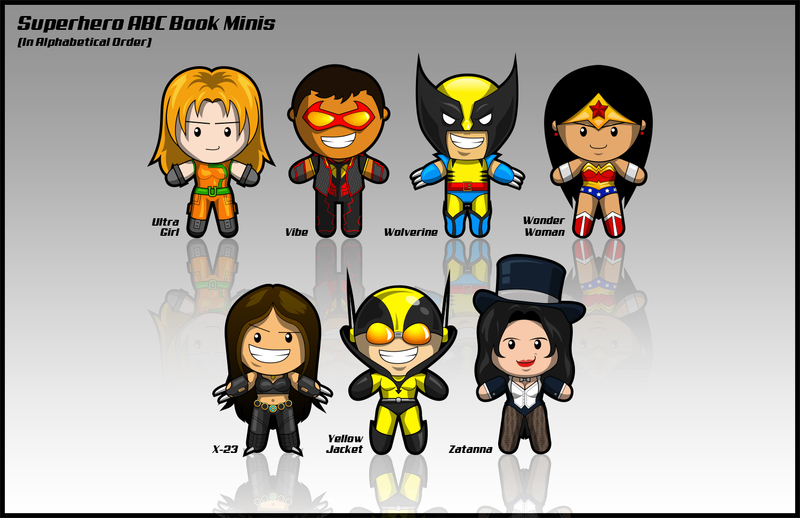 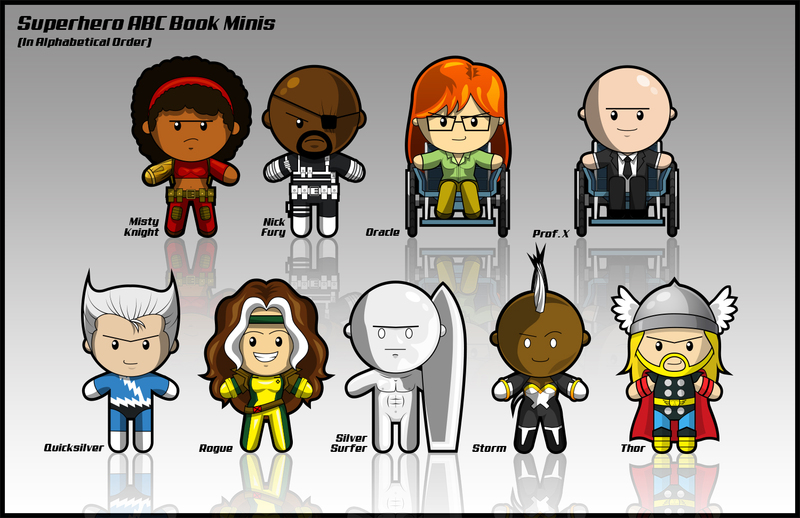 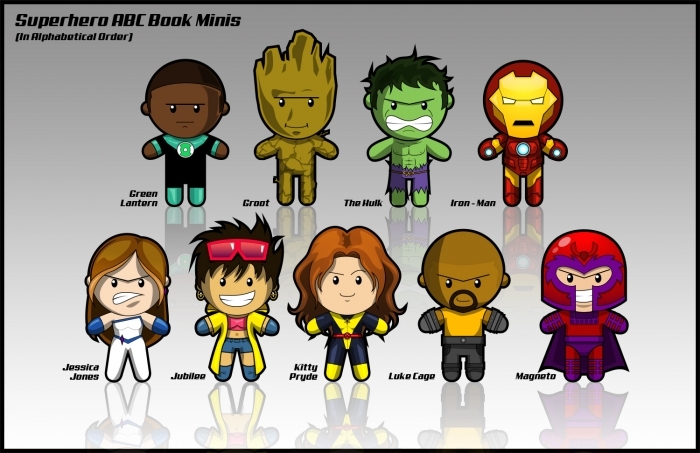 A set of chibis based on various DC and Marvel superhero characters for use in the promotional materials for a themed baby shower. 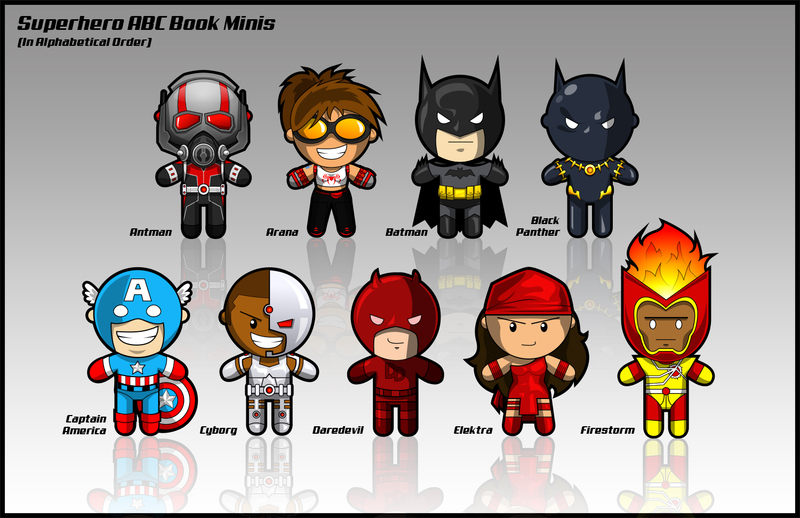 This illustrated collection of superheros created for use in a handmade “Baby’s First ABC” book. The Superheroes chosen were artist’s choice, so long as there was at least one for each letter. Since this ultimately was for a gift for a mixed race/heritage family, it was very important to me that I included a diverse range of characters, so this collection includes heroes of both genders, multiple races and religions.